1 hour down another 3 to go!!! Bored in Schiphol airport right now. Flight to Amsterdam was uneventful, quite impressed that we got fed and watered, mind you they have to throw it at you becaus you’re not up in the air all that long. Off to find my gate and take a nap. After stocking up on the breakfast buffet it’s time to get to Canillo. My backpack goes in the trunk of the bus and I have visions of the driver taking off before I have chance to retrieve it. Thankfully that doesn’t happen and I manage to get both myself and my luggage to Canillo. After getting some fuel (for us and the stove) it’s straight into the hiking. So far so good, we reach the Planell de les Basses and in the excitement of spotting the first red and white GR11 markers take a left instead of a right – doh! Luckily we realise before too long and after lunch get back on track. 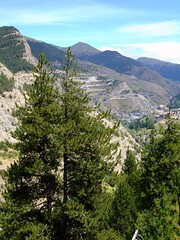 Manage to walk up the steep hill to the Coll d’Ordino twice after a bit of dithering about the route – doh 2! Pass a couple who have been walking for 30 days, they tell us this is the worst part of the GR11 they have done so far, nothing like jumping in at the deep end. We had a late start so push on until it starts to get dark, and then find the first available spot to pitch the tent. Well, officially it’s only the start of “Day 2″ but hey. It’s another long climb to start with, but this one doesn’t feel quite so relentless, or maybe we’re just getting fitter. The coll at the top opens up into a beautiful valley, and then it’s climb after climb after climb all the way to the Andorra/Spanish border at Port de Baiau. The relief at being at the top is surpassed by the realisation of what we have to go down, a very steep scree slope. It’s not as bad as it looks though and when you can just slide a lot of the way it makes it a bit quicker. 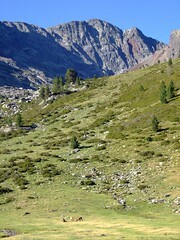 Eventually start the more gentle descent down to Vall Ferrera. Lots of cows around, but we eventually manage to find a few square metres free of cow pats to pitch the tent. Waking up with this sort of view is pretty nice. Walked down to the Refugi de Vall Ferrera and then up the Sotllo valley and Estany de Sotllo, so far so good. Following red and white signs without too much thinking we eventually reach to the top of a coll after a very steep scree slope (this turned out to be Port de Sotllo at 2894m). At the top we’re a little confused about the route but if you’ve climbed up one side of a coll the only correct way is to go down the other side – surely? Well, turns out that logic only works if you’ve gone up the right coll in the first place. Unfortunately for us we hadn’t. By this time though it was getting late and we only had about an hour of light left. We just about manage to find somewhere where we can pitch the tent. So we spend a delightful night in France, trying to sleep on a 30 degree slope, there’s some nice big rocks amongst the grass as well, just for good measure! Day 5 – returning from France! Retrace our steps back down to Estany de Sotllo but the weather’s not looking good. 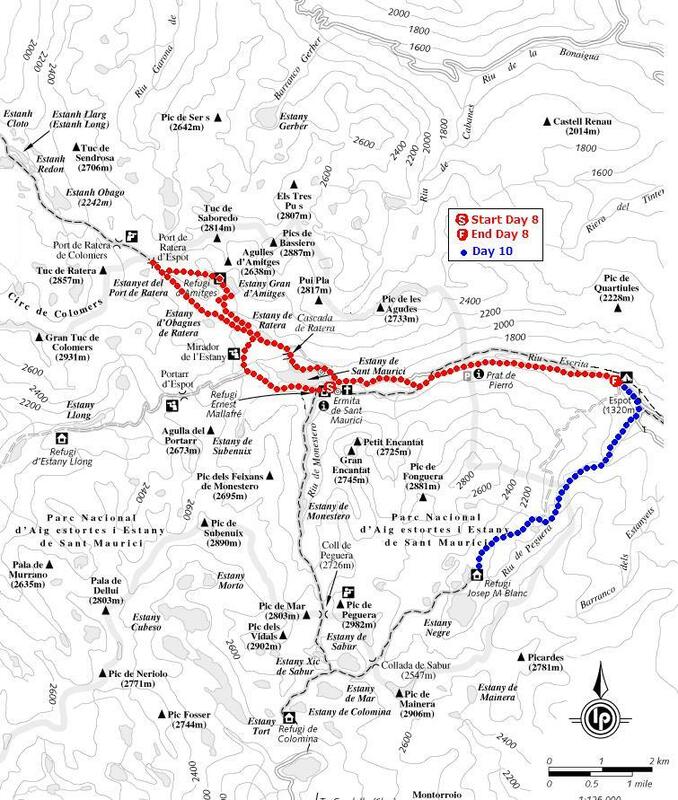 A decision is made to head back to Vall Ferrera and make our way to Espot and skip days 4-6. Just as well as soon there was thunder, lightening and hail to contend with. Reach Vall Ferrera and so thumbs out we start walking towards Areu. Ten minutes later we’re in luck and we’re out the rain in a van with the heaters blowing and it’s so nice! They dropped us at the main road and we walk another 2k before we manage to get a lift the rest of the way to Llavorsi. Find ourselves a nice little campsite with friendly neighbours, they gave us some red wine when we first arrived, we must have looked like we needed it. Day 6 – the end of the road? Decided to have a day of rest in Llavorsi and work out a plan. Decide to go to Espot and try and explore the Parc Nacional d’Aigüestortes i Estany de Sant Maurici, won’t let a silly infected ankle put an end to this trip just yet. We do the done thing and take a 4WD Landrover Defender taxi to Estany de Sant Maurici. Leaving the crowds behind we looped around the south side of the lake then up to Port de Ratera d’Espot via the GR11. 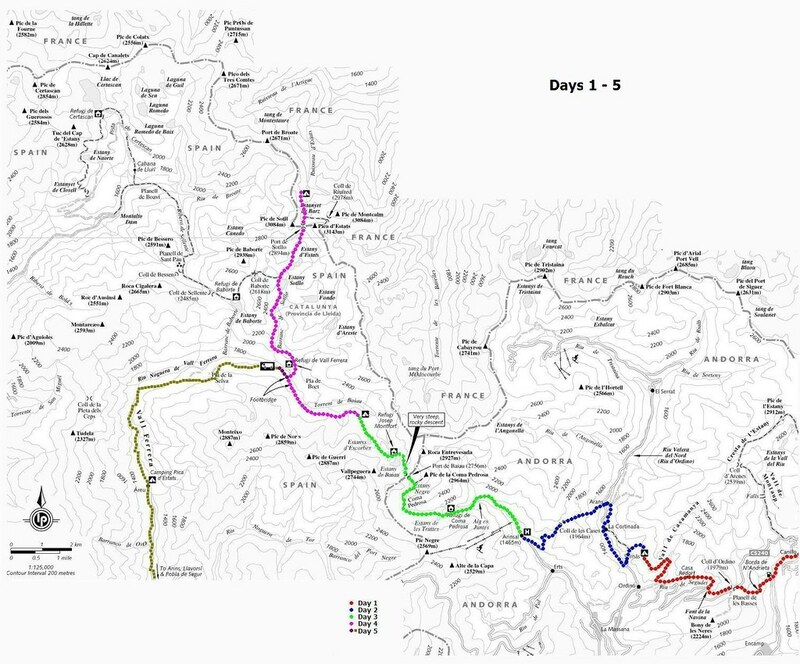 A slightly different route back down, to take in the Estanys d’Amitges, and the Cascada de Ratera before completing the loop round the north side of Estany de Sant Maurici and continuing all the way back to the campsite in Espot. was getting to be too much like an endurance test. see more of the best bits this way.